A 57-year-old man was behind bars Tuesday on suspicion of fatally stabbing another man during an argument in an El Cajon alley, police said. 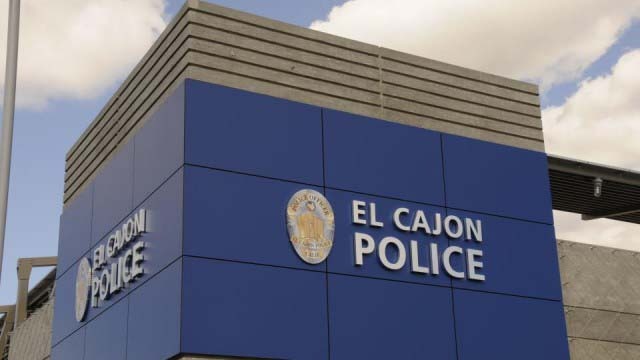 Michael Anthony Mena Jr. was arrested near Wells Park in El Cajon on Sunday after officers interviewed witnesses and the victim’s wife and identified him as a suspect, according to El Cajon police. A woman told police she, her husband and another man were in their car in an alley between North Second Street and Shady Lane around 1 a.m. Sunday when her husband got into an argument with a man outside their vehicle, Lt. Walt Miller said. The argument became violent and her husband was stabbed in the chest, the woman told officers, then she and the other man in the car drove to Grossmont Hospital in La Mesa to get her husband help, Miller said. The victim, whose name was not released, died of his injuries at the hospital. Detectives were trying to determine if the suspect and victim knew each other. Mena was being held without bail in the San Diego Central Jail, where he was booked on suspicion of murder shortly before 5 p.m. Sunday, according to jail records. He was scheduled to be arraigned Thursday afternoon at the El Cajon courthouse. Posted in Crime | Tagged El Cajon Police, Michael Anthony Mena Jr.